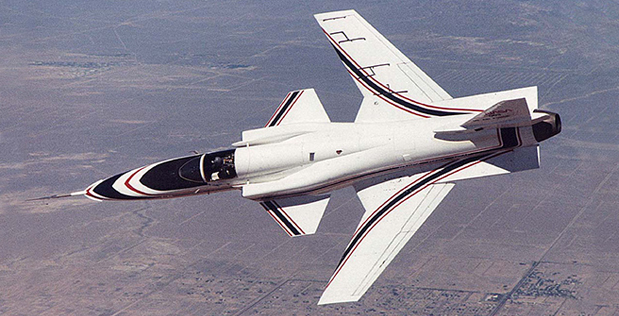 X-29 forward cleared wing plane, flown by the NASA Dryden Flight Research Center, as an innovation demonstrator (1984 – 1992). The Grumman X-29 was an American test airplane that tried a forward-cleared wing, canard control surfaces, and other novel air ship advances. The X-29 was created by Grumman, and the two assembled were flown by NASA and the United States Air Force. The streamlined precariousness of the X-29’s airframe required the utilization of modernized fly-by-wire control. Composite materials were utilized to control the aeroelastic unique contorting experienced by forward-cleared wings, and to lessen weight. The X-29 first flew in 1984; two X-29s were flight tried throughout the following decade.